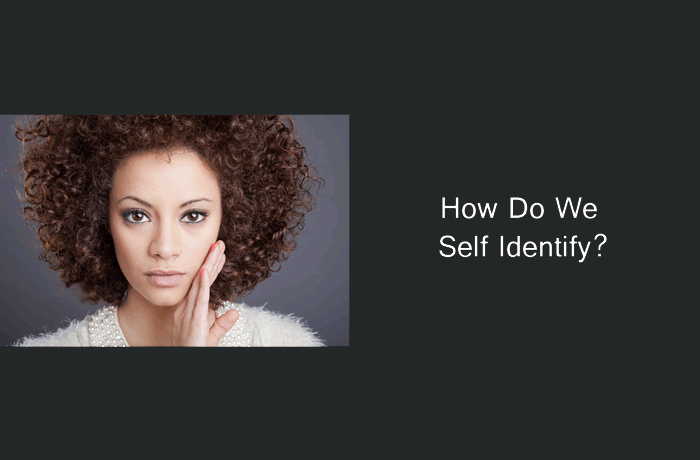 How Do We Self Identify? Race is a topic of endless debate—both among monoracial and multiracial people. For monoracial people, there is only one way to self identify. If their parents are the same race, their own race is branded on them from the moment they are born. This isn’t the case with multiracial people. For one thing, our looks can change the older we get. I was born with a darker complexion and straight, very thin hair. As I grew, my complexion lightened and when puberty set in, my hair curled up. While looks may tell one story, how we’re raised can tell another. As it happens, my parents had already made up their minds to raise us to self identify as Black. We knew our mother was half Black and half Japanese and our father was White and at home we could embrace all three, but in the street where people “shoot first and ask questions later” (usually only metaphorically speaking), we were Black … period. And then something interesting happens to us multiracial people: Life experience. How we self identify growing up is subject to change once we’re out in the world in mingling amongst others not raised with us. The older we get, the more life experience we gain, the more race becomes fluid. 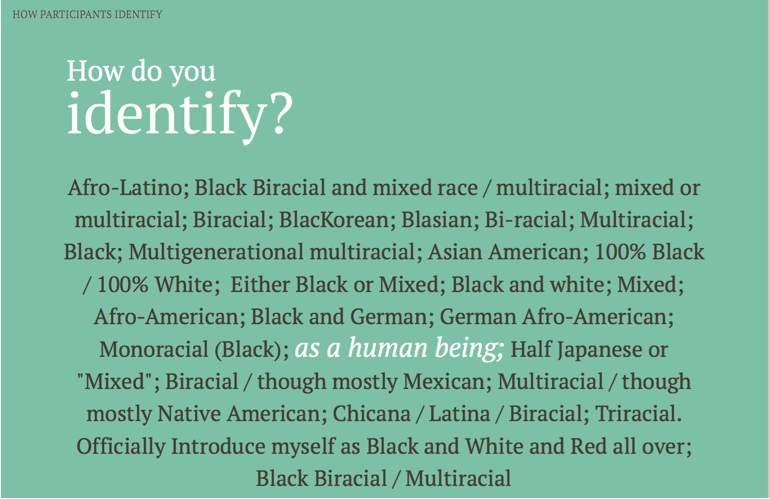 I so often say that because race is fluid, I can be Black, White and multiracial all within the same conversation. There’s obviously no one correct answer, and despite what outside observers might think, it can change from one family member to another—even when they have the same parents. So How Do We Self Identify? Check out the survey and see what these contributors are talking about.